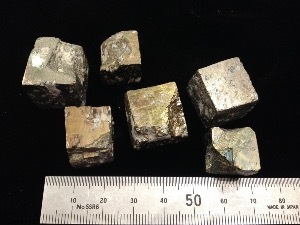 The mineral pyrite, or iron pyrite, also known as fool's gold, is an iron sulphide with the chemical formula FeS2. 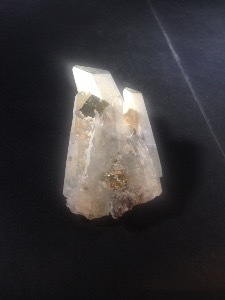 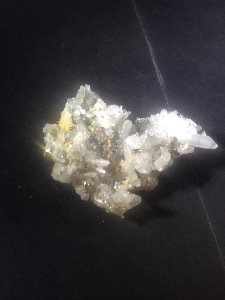 This mineral's metallic lustre and pale brass-yellow hue give it a superficial resemblance to gold, hence the well-known nickname of fool's gold. 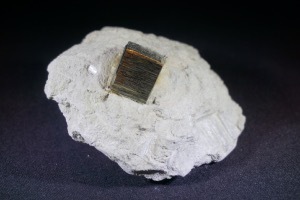 The color has also led to the nicknames brass, brazzle, and Brazil, primarily used to refer to pyrite found in coal. 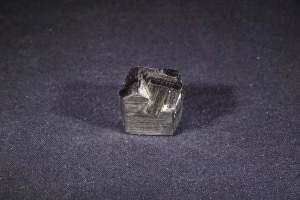 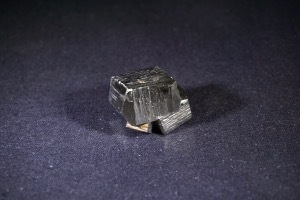 Pyrite is the most common of the sulphide minerals. 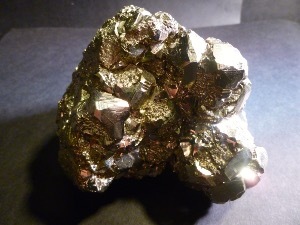 The name pyrite is derived from the Greek (pyritēs), "of fire" or "in fire”, in turn from (pyr), "fire”. 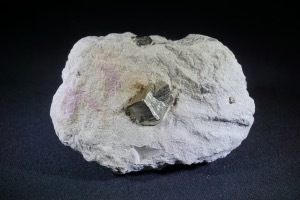 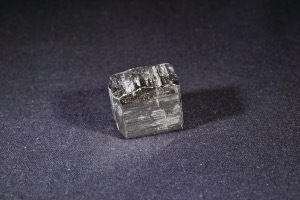 By scholar and scientist Georgius Argricola's time, the term had become a generic term for all of the sulphide minerals. 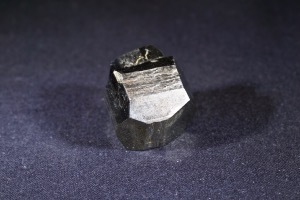 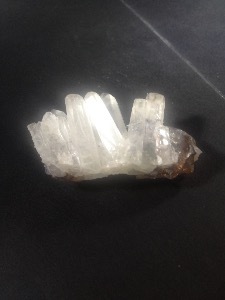 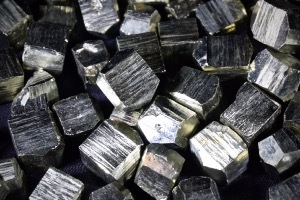 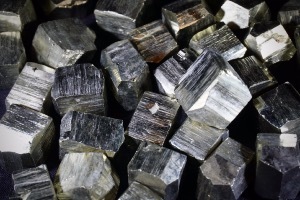 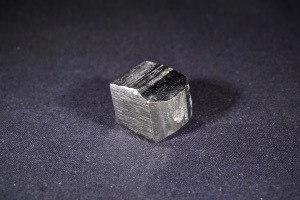 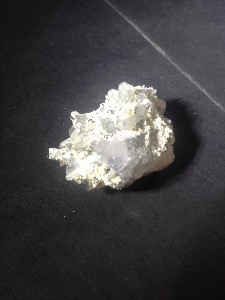 Pyrite is usually found associated with other sulphides or oxides in quartz veins, sedimentary rock, and metamorphic rock, as well as in coal beds and as a replacement mineral in fossils. 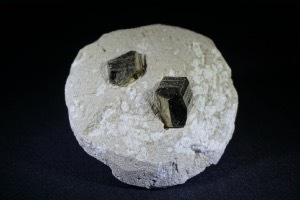 Despite being nicknamed fool's gold, pyrite is sometimes found in association with small quantities of gold.